Diana den Held » Blog Archive » I’ll be teaching in Cologne now as well! I’ll be teaching in Cologne now as well! 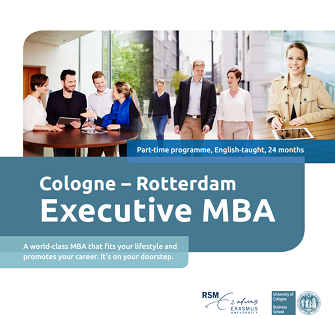 I’m looking forward to this new step, which comes forth from teaching in the RSM-MBA, which comes forth from teaching in the RSM Masters. I’m grateful for the support I’ve been and am getting from my colleagues at RSM while developing these teaching programs. Coming from ‘outside’ I sometimes had nu clue how to f.e. arrange for a teaching room or work with blackboard, but I’ve always been given quick and clear help, hints and tips.